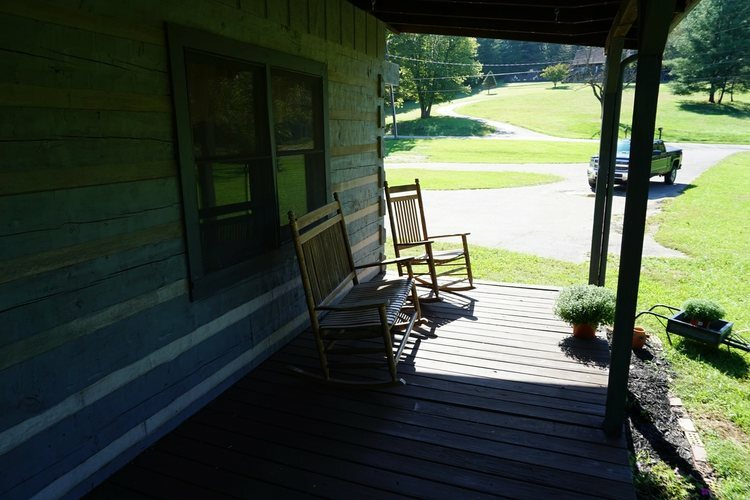 WHO DOESN’T LIKE FRONT PORCH SITTING? 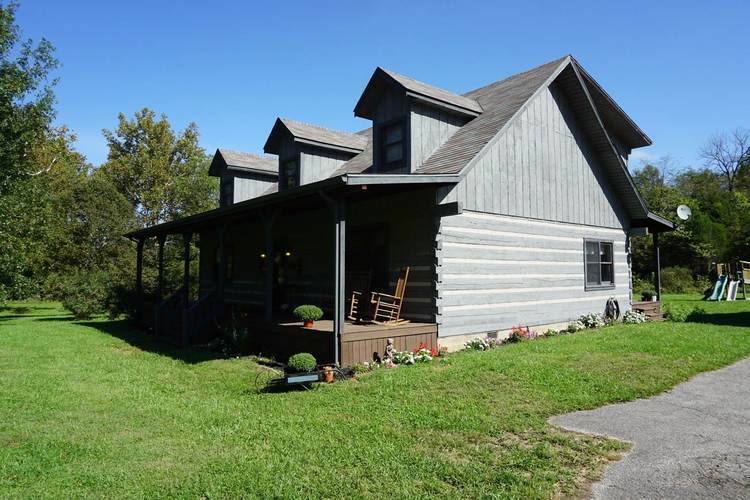 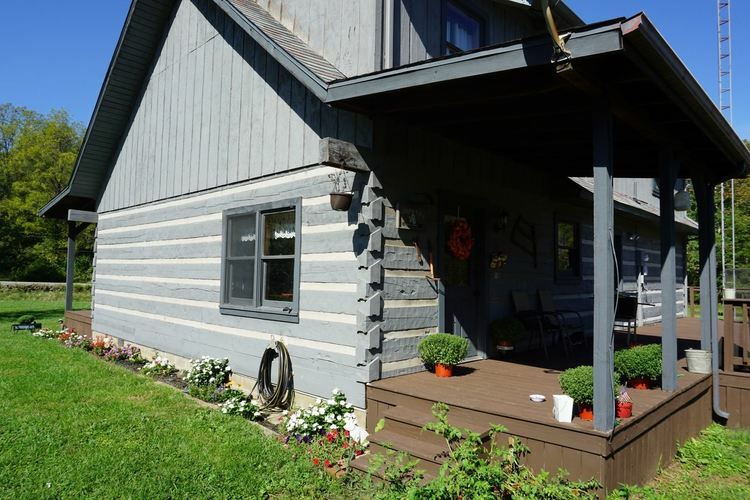 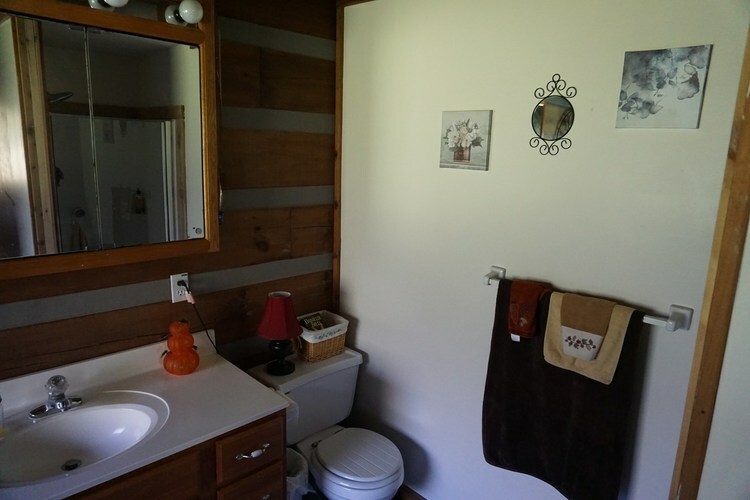 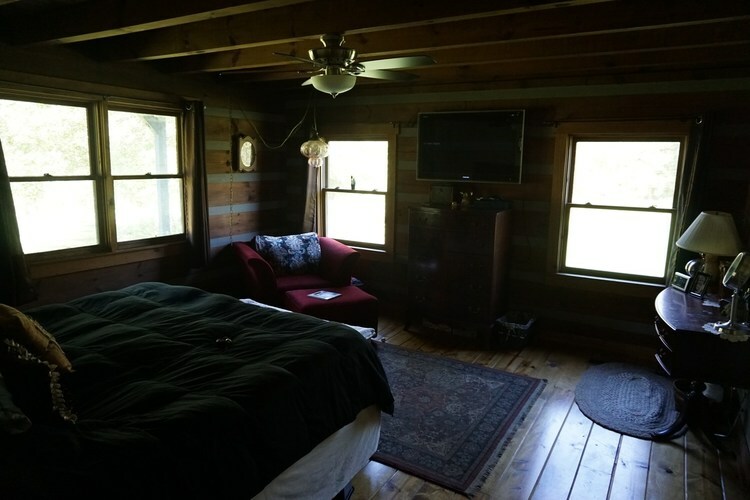 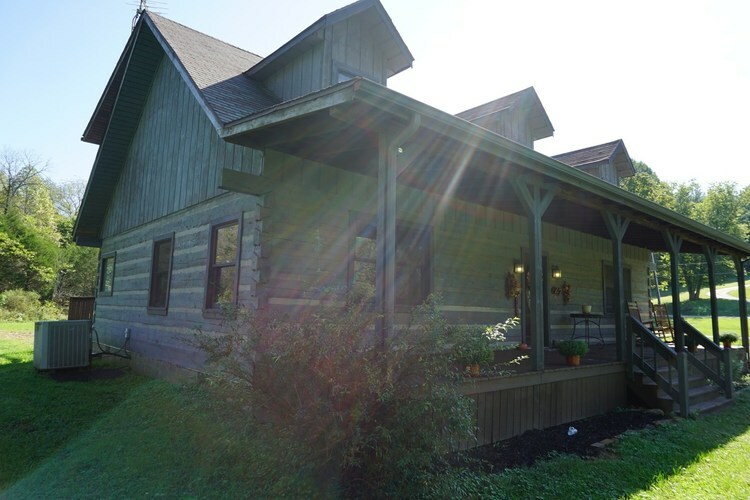 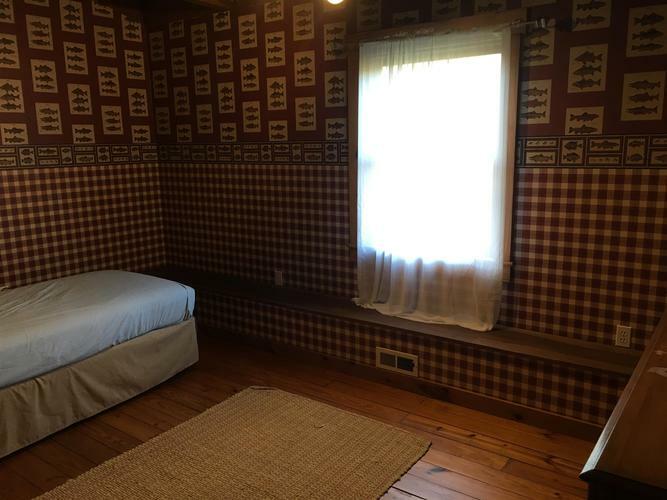 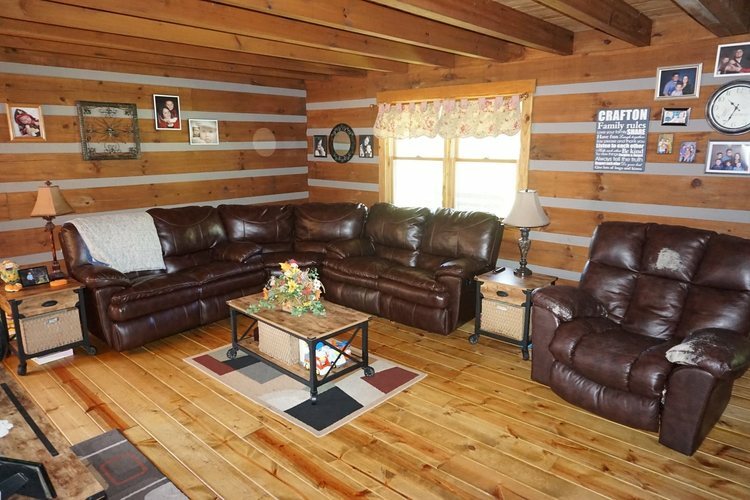 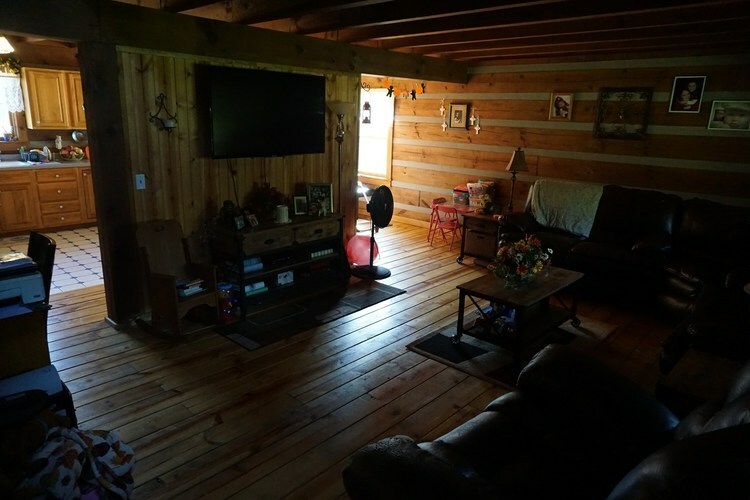 THIS 5 BEDROOM, 2 BATHROOM LOG HOME ON 6.27 ACRES IS CALLING YOUR NAME! 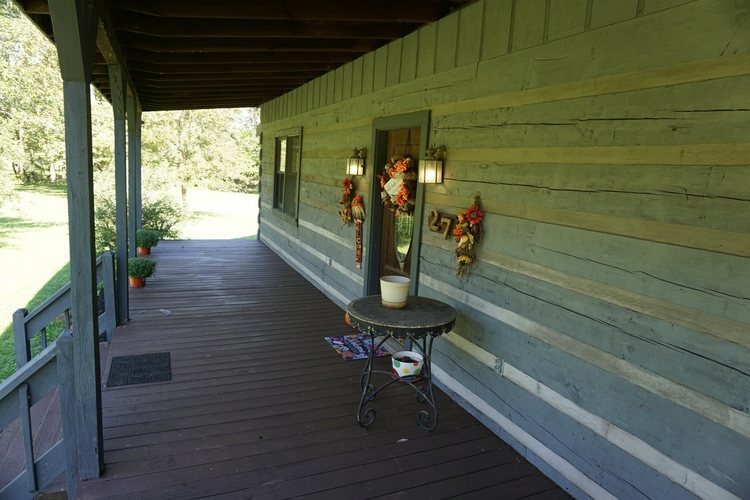 THE OUTSIDE OF THIS HOME IS IMPRESSIVE. 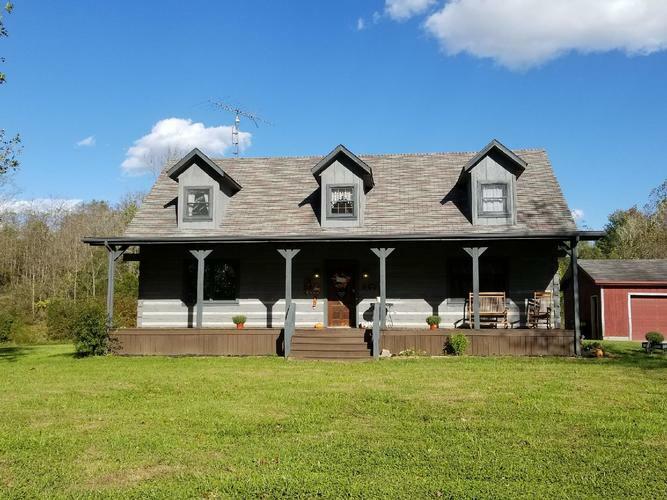 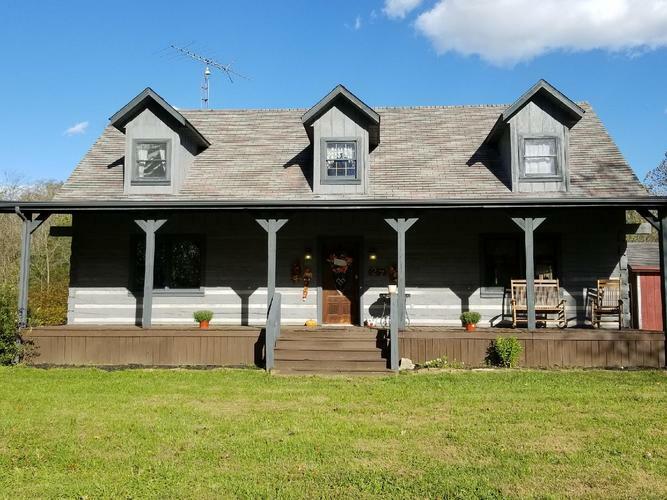 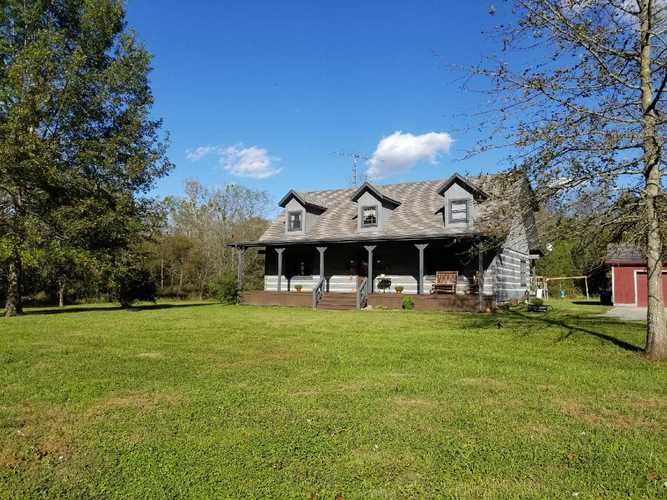 LARGE COVERED FRONT PORCH WITH GREAT VIEWS OF THE FRONT YARD, SPACIOUS PARTIALLY COVERED REAR DECK PERFECT FOR ENTERTAINING, AND A PERFECT MIXTURE OF PARTIALLY WOODED ACREAGE AND CLEARED LAND. 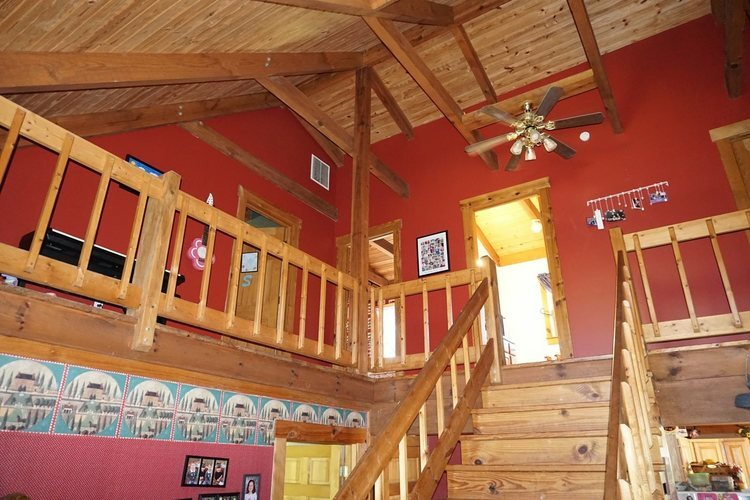 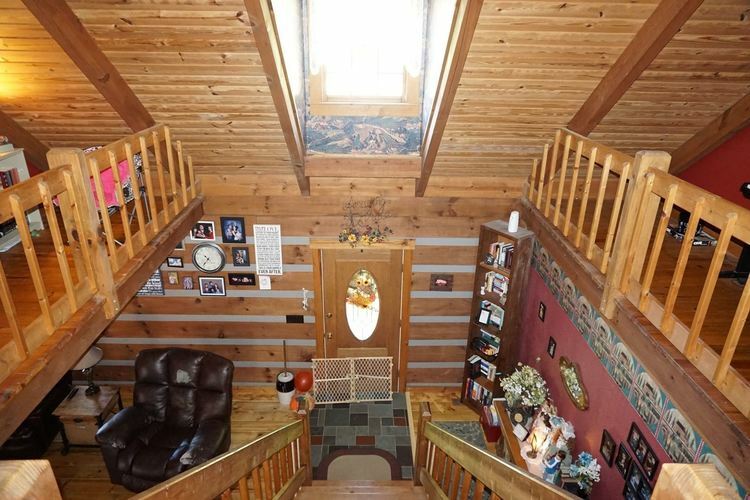 THE FOYER ENTRANCE OF THIS LOG HOME IMMEDIATELY GRABS YOUR ATTENTION. 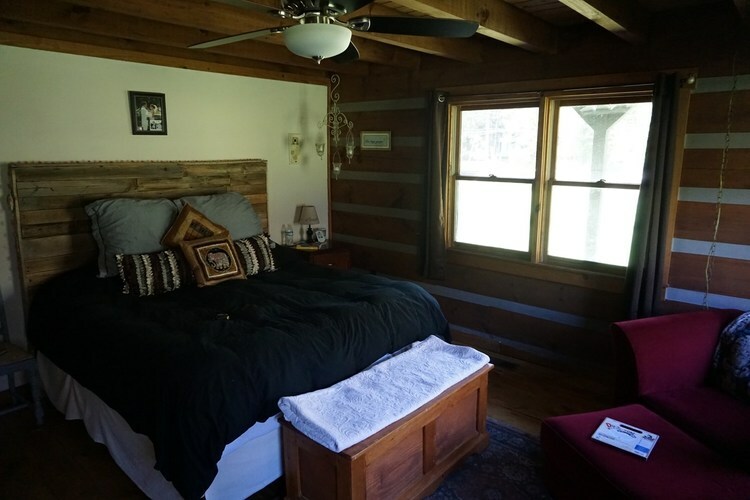 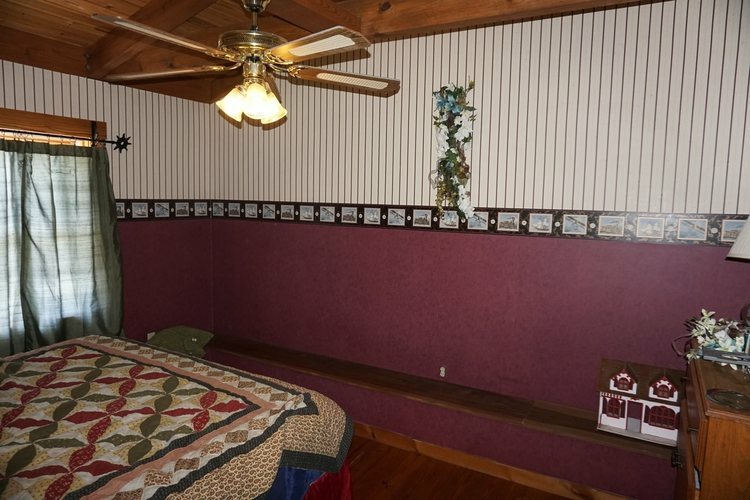 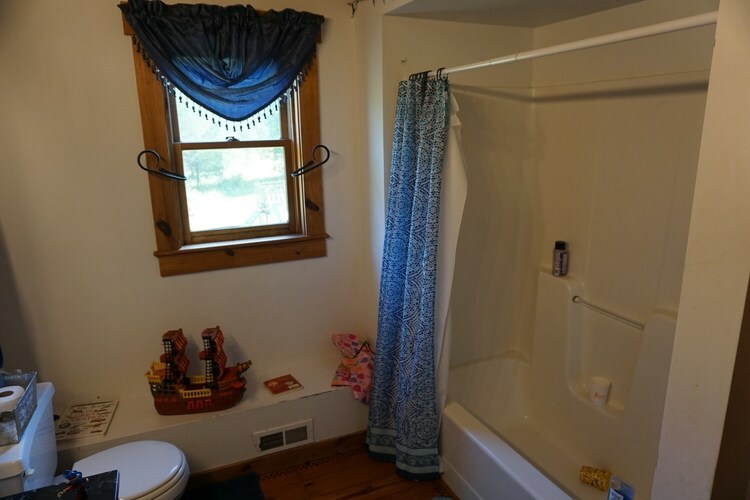 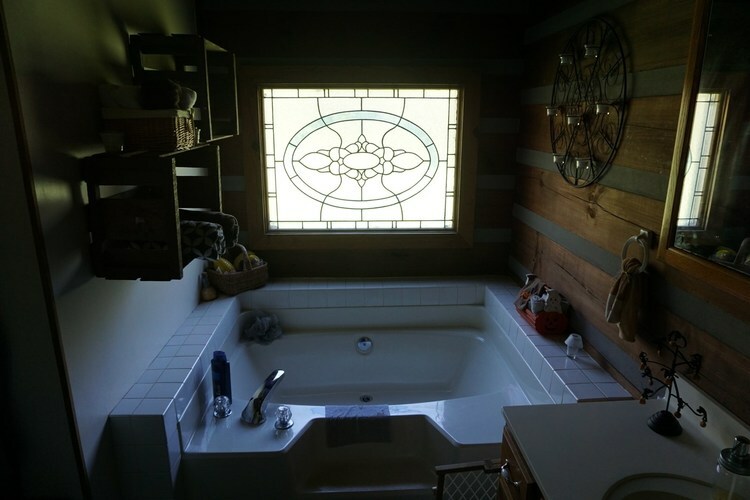 MAIN BEDROOM AND PRIVATE BATHROOM ON THE LOWER LEVEL, THE 4 REMAINING BEDROOMS AND FULL BATHROOM ARE ON THE UPPER LEVEL. 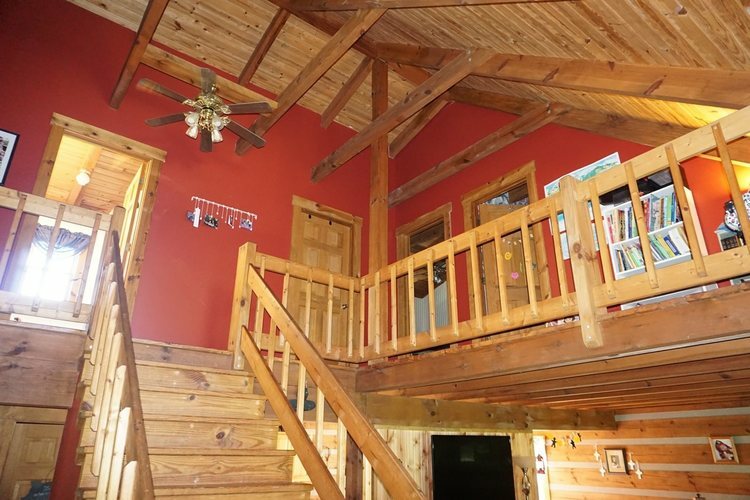 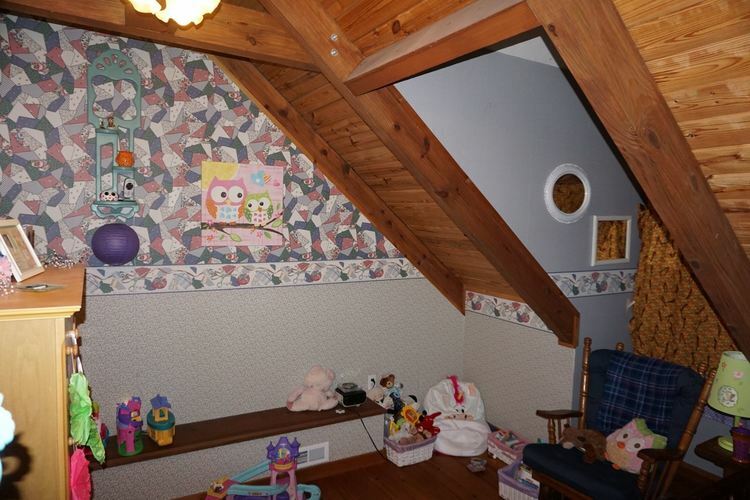 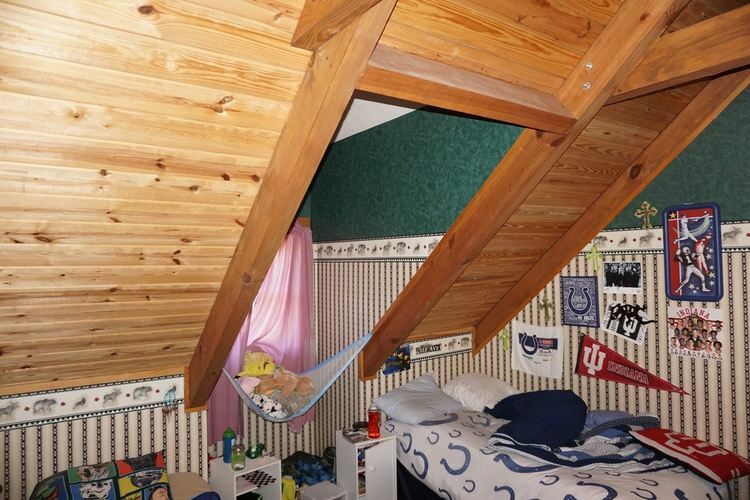 LOFT AREAS ARE PERFECT FOR RELAXATION OR ADDITIONAL STORAGE SPACE. 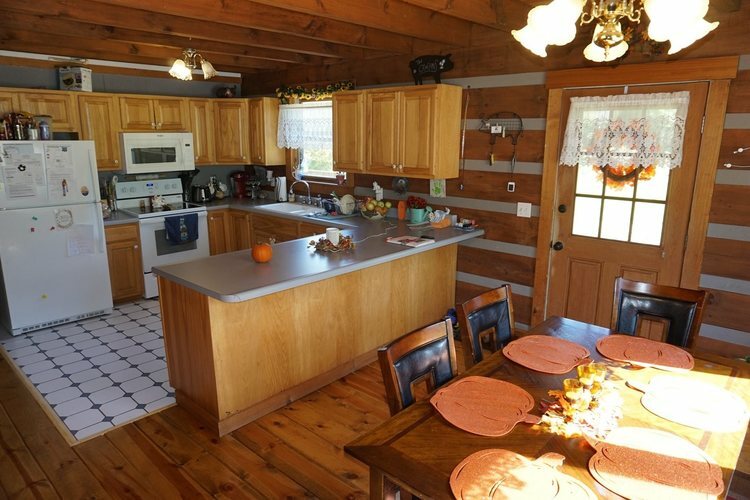 LIVING ROOM LEADS INTO THE EAT-IN KITCHEN AREA WITH VIEWS OF THE AMAZING BACK YARD. 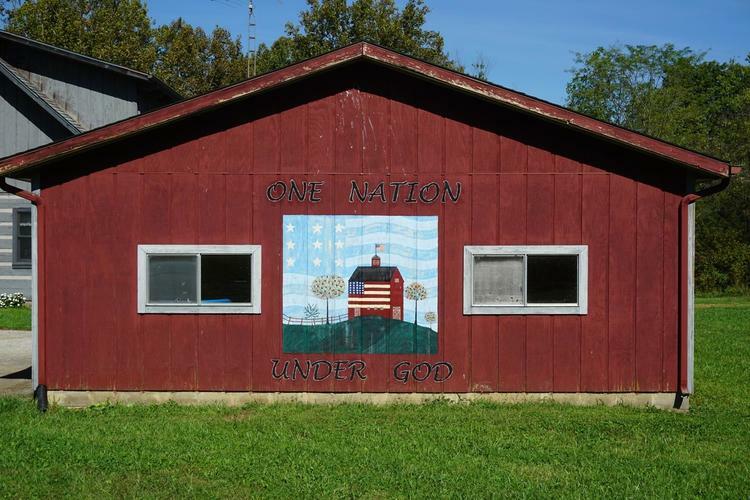 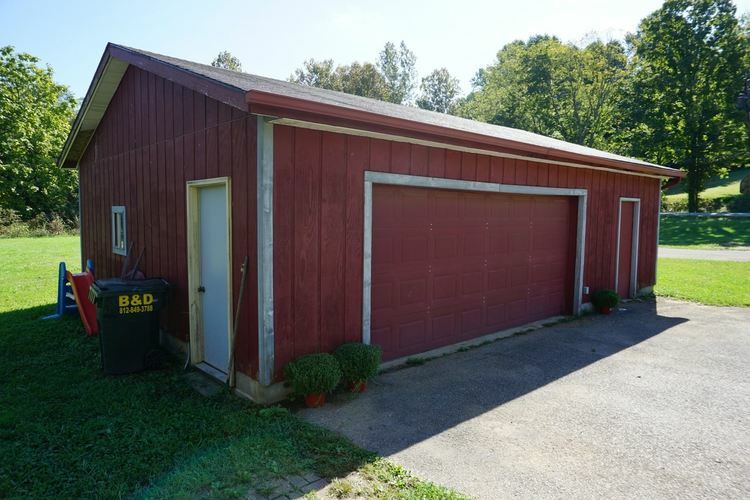 2 CAR DETACHED GARAGE WITH BEAUTIFUL MURAL PAINTING. 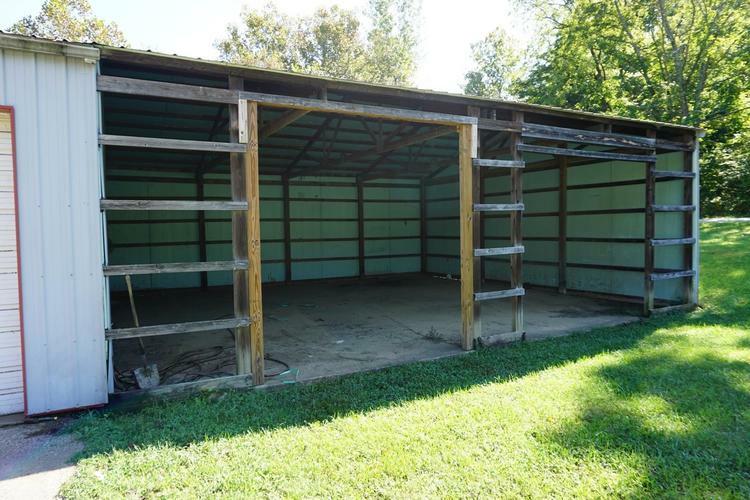 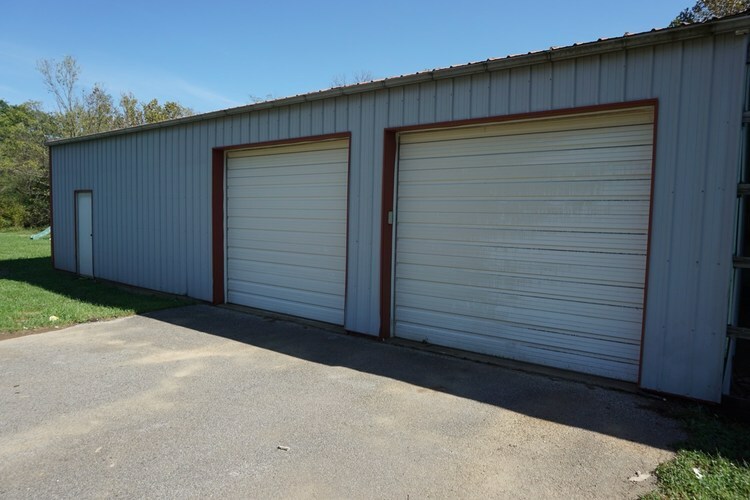 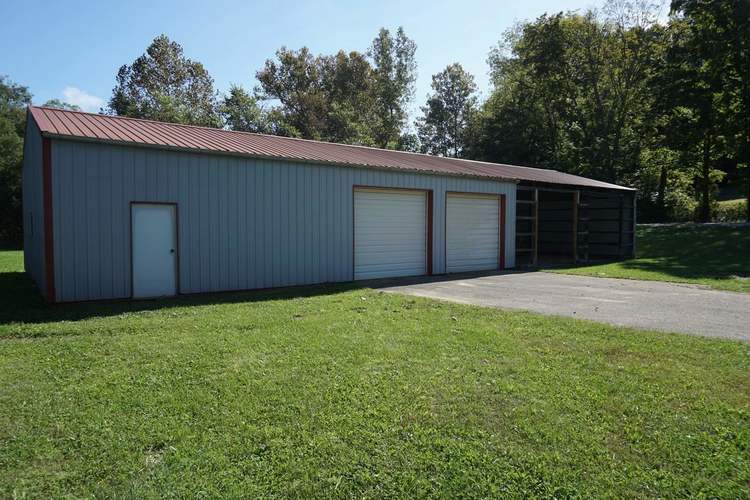 ADDITIONAL 4 BAY POLE BARN BUILDING SITS JUST SOUTH OF THE DETACHED GARAGE. 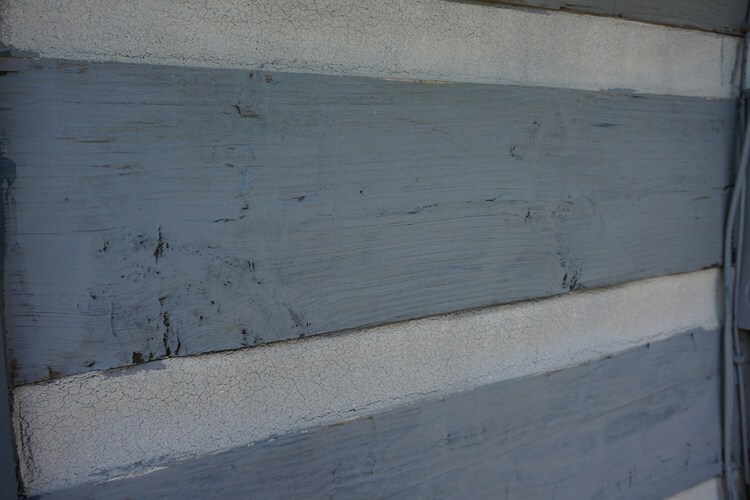 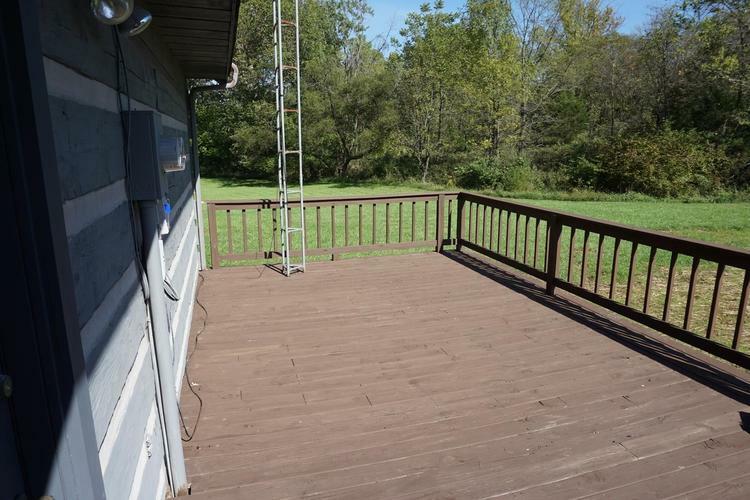 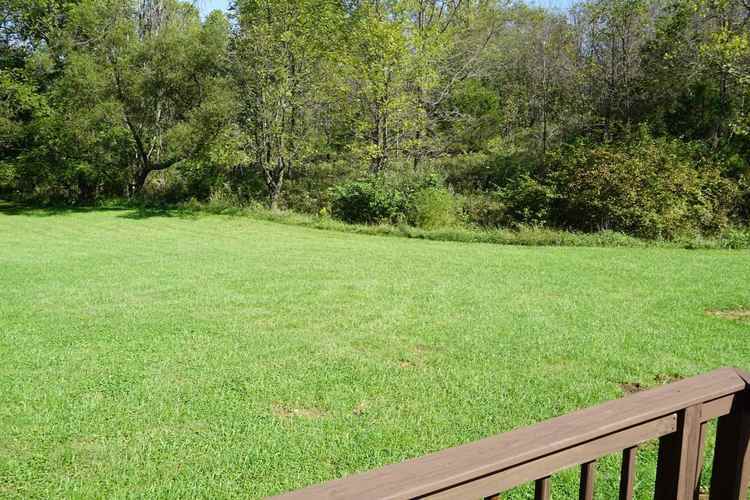 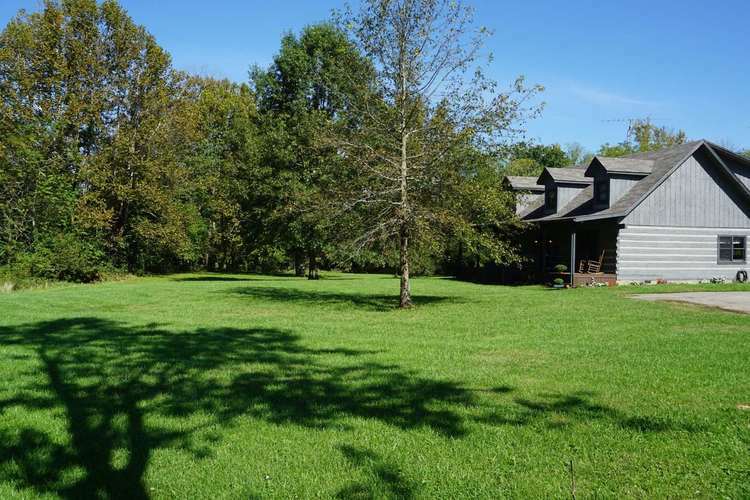 WALK THROUGH THE WOODS, ENJOY THE BACKYARD, COOKOUT ON THE MASSIVE REAR DECK OR JUST SIMPLY SWING ON THE FRONT PORCH. 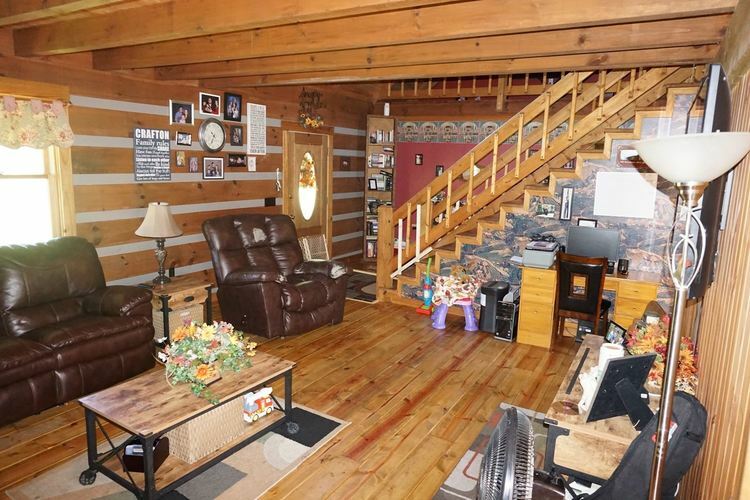 THIS HOME IS THE TOTAL PACKAGE AND DEMANDS ATTENTION. 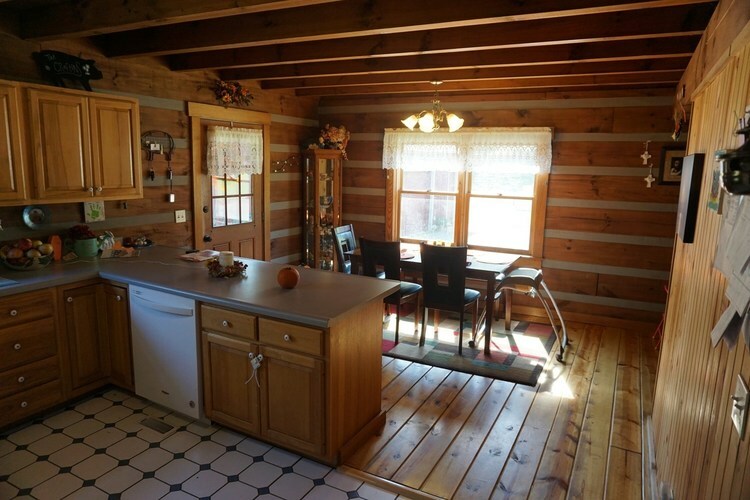 KITCHEN APPLIANCES AND HOME WARRANTY ARE INCLUDED. 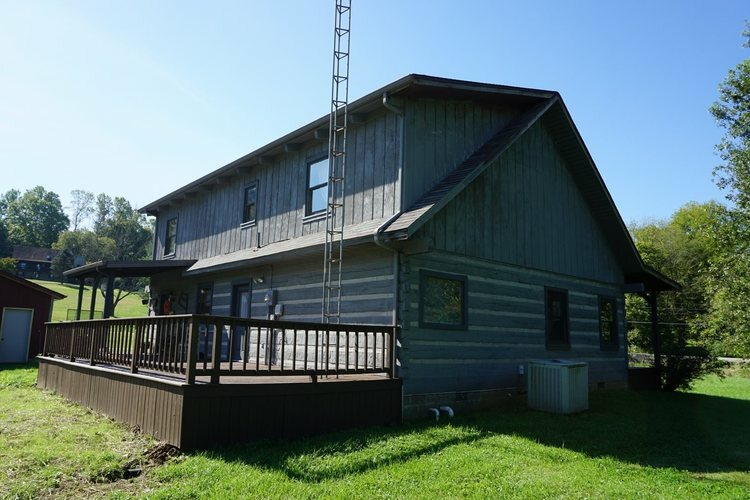 THIS HOME COULD POSSIBLY QUALIFY FOR 100% FINANCING!